The Lunchbox World Blog: Inspiration for your lunch box: National Sandwich Week - what's your favourite sandwich? National Sandwich Week - what's your favourite sandwich? It's National Sandwich Week this week, and we're just wondering what IS your favourite sandwich? packed full of nutritious goodies to make it simply THE ultimate, but how about the most scrumptious, the tastiest sandwich? Or the most FUN sandwich? Which would be your favourite filling for a sandwich? 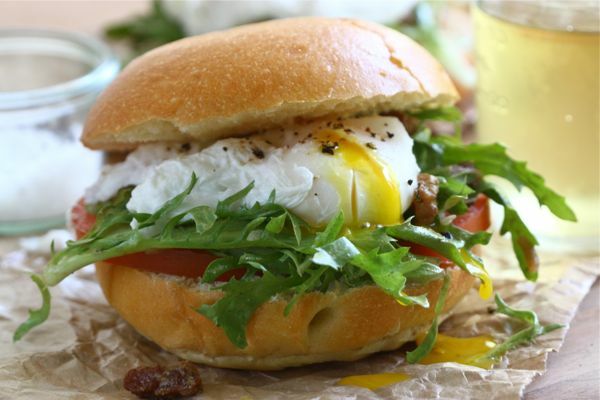 We stumbled across the Salad Lyonnaise Sandwich on twitter and just had to share it with you here. So please don't hold back, I know you want to tell me. What is your favourite sandwich?